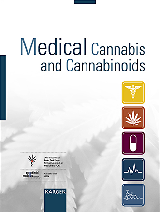 On 28 July the Lancet published a review that a comment called "the most comprehensive meta-analysis to date of a possible causal relation between cannabis use and psychotic and affective illness later in life." A major reason, why this review attracts much attention is the consideration of the new British Government and the new Prime Minister Gordon Brown to reclassify cannabis under British narcotics law from a class C (non-arrestable drug) to a class B drug, so that possession of cannabis again would carry the risk of being arrested. In 2004 cannabis was downgraded from a class B to a class C drug. In their new review of seven longitudinal studies, Dr. Theresa Moore of the University of Bristol, UK and her colleagues found that individuals who had ever used cannabis had an increased risk of psychosis or psychotic symptoms of 41 per cent compared to individuals who had never used cannabis. Frequent cannabis users had twice the risk of non-users (odds ratio: 2.09), as suggested in earlier reviews. Results for an association between cannabis use and depression, suicidal thoughts, and anxiety were less consistent. Researchers noted that these studies do not allow positive determination of whether the use of cannabis causes psychosis but they stated: "The uncertainty about whether cannabis causes psychosis is unlikely to be resolved by further longitudinal studies such as those reviewed here. However, we conclude that there is now sufficient evidence to warn young people that using cannabis could increase their risk of developing a psychotic illness later in life." In an editorial the Lancet wrote: "In 1995 we began a Lancet editorial with the since much-quoted words: 'The smoking of cannabis, even long-term is not harmful to health.' Research published since 1995 including Moore's systematic review in this issue, leads us now to conclude that cannabis use could increase the risk of psychotic illness." Recently, several British politicians have outed themselves as previous users of cannabis and demonstrated their contrition. It would be considered an absurd joke if, in analogy, politicians would have committed to alcohol abstinence - to set a good example for adolescents and because of the association between alcohol use and cardiovascular disease, liver disease, malignant tumours and psychiatric conditions such as depression, mania, phobias, generalized anxiety disorder, personality disorders, schizophrenia, and suicide. Such a commitment and the idea of alcohol prohibition would be considered as ignorance with regard to the rules of international drug policy and the impact on sales rates of Scotch whiskey. General prohibition of alcohol is not an option, simply because it would promote the development of criminal structures, reduce tax revenues, deter the police from more important tasks and increase the health implications of alcohol use due to a lack of quality control and contamination. All these undesirable side effects of prohibition are already well established for cannabis. On 20 July the British company GW Pharmaceuticals announced that it has withdrawn its current regulatory application for Sativex in EURope for the treatment of spasticity in patients with multiple sclerosis. It expects to resubmit an application for approval either for spasticity or for neuropathic pain in MS in 2008. This decision followed discussions with regulatory authorities. In September 2006, GW filed an application for Sativex under the decentralised procedure in four EURopean countries (UK, Spain, Denmark, Netherlands). So far, GW has been able to resolve most of the questions raised by the regulators during this process except one, which requires the conduction of an additional study. The current regulatory application process has confirmed that quality and safety data are already sufficient to support a marketing authorisation of Sativex. The regulators have also confirmed that existing efficacy data provide statistically significant evidence and “could in principle lead to a positive risk benefit conclusion”. In addition, the regulators wish however to be able to identify patients, which are effectively treated by Sativex ("responders"), in the first 4 weeks of treatment and to confirm that the improvements gained by such responders over a further 12 week period is significantly greater than placebo. The users of medicinal cannabis in The Netherlands are advised by the Office of Medicinal Cannabis to prepare cannabis tea as follows: "add 1.0 g of cannabis to 1.0 L of boiling water and let simmer for 15 min. Filter out solid parts by using a common tea-sieve. Tea can be consumed immediately, or stored in a closed bottle in a refrigerator for up to 5 days." 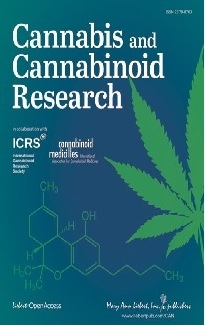 Researchers of the University of Leiden investigated the cannabinoid composition of this tea. They found that tea prepared with different batches of cannabis with an overall THC concentration (phenolic THC + THC acid) of 19.7 per cent showed only a moderate variation in THC concentrations of 15 per cent. The mean concentration of THC was 10 mg per litre and of THC acid (THCA) 43 mg/L. In the plant THC is mainly present as THCA and is converted into the psychotropic THC upon heating (baking, smoking, boiling). Since with cooking of water only a relatively low temperature of 100 degrees Celsius is reached only a small part of THCA was transformed into THC, resulting in an availability of only about 5 per cent phenolic THC of the whole THC (10 mg of 197 mg THC acid + THC). The authors also found, that the THC concentration rapidly declined during storage, which was largely prevented by the addition of coffee creamer powder.